It is no secret that the cinema canon has historically skewed toward lionizing the white, male auteur. Beyond the Canon is a monthly series that seeks to question that history and broaden horizons by pairing one much-loved, highly regarded, canonized classic with a thematically or stylistically-related—and equally brilliant—work by a filmmaker traditionally excluded from that discussion. This month’s double feature pairs Barbara Loden’s Wanda (1970) with Arthur Penn’s Bonnie and Clyde (1967) screening Sat, Nov 24 at 4:30pm. 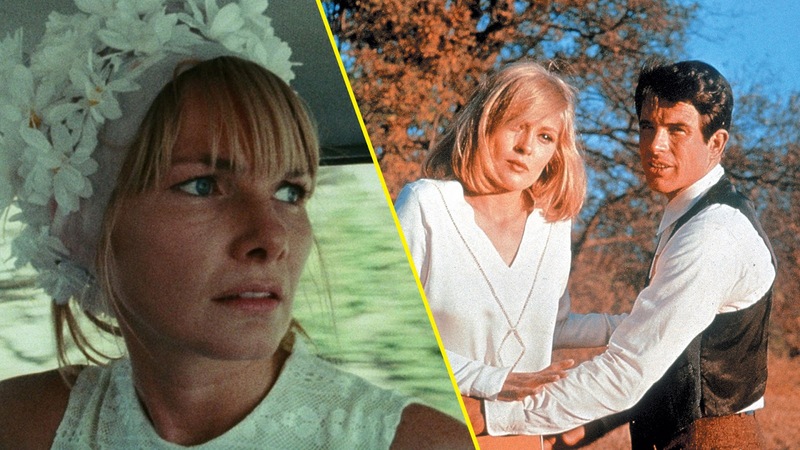 Briefly beloved, largely forgotten, then recently reclaimed, Wanda (1970) has been described as the “anti-Bonnie and Clyde”—its writer and director Barbara Loden said so herself. Yet it’s hard not to talk about the former without mentioning its more widely renowned predecessor. At a glance, they are two legs of the same criminal. Both films, deeply embedded in the mythos of the American road movie, involve a man and a woman robbing banks—Wanda takes place around eastern Pennsylvania, while Arthur Penn’s Bonnie and Clyde (1967) is set in Texas and its neighboring states. Penn’s film, boasting two major movie stars in Warren Beatty and Faye Dunaway, is a proper Hollywood movie, dressed up and romanticized, even with guns ablaze. Wanda, conversely, is at times painstakingly slow, abusive to its leading lady (with Loden directing herself as star) and the audience, who must bear witness to Wanda’s increasingly questionable choices. As Loden’s film begins, we learn that Wanda Goronski has just lost her job, possibly owing to her poor work ethic, and has given up her children in court knowing they’d be better off without her. She soon cozies up to a cruel common criminal by the name of Mr. Dennis (Michael Higgins), who, despite being no Clyde, seems to project a fantastical desire for his own Bonnie. Unlike Dunaway’s glamorous Bonnie—whose blonde bob-under-beret and knit shirt plus handkerchief combo signaled 50 years of aspirational fall looks—the bedraggled Wanda has no such fashionista legacy. She dawdles around in public with a head full of curlers, only to lose them and revert back to her sad, weeping willow of a ponytail. She walks past store window mannequins—dressed in outfits you might see on Bonnie—but sports beige slacks and a pajama-like shirt. She’s not a head-turner; rather, she floats by, overlooked, underappreciated, or detested by the men in her life. Bleak, brusque and quietly heartbreaking, Wanda is the antithesis of the New Hollywood glamour that Bonnie and Clyde represented, though the talent involved closely orbited each other’s circles. In 1961, Barbara Loden had starred as Warren Beatty’s sister in Splendor in the Grass, directed by her husband Elia Kazan. Then, in 1969, Kazan made The Arrangement, loosely based on his affair with Loden, and cast Faye Dunaway in her role instead, about which Loden was furious. Though Bonnie and Clyde was released three years before Wanda, Loden says she had written the script 10 years before that. Regarding Penn’s film, Loden had said in an interview, “I didn’t care for [Bonnie and Clyde] because it was unrealistic and it glamorized the characters... People like that would never get into those situations or lead that kind of life—they were too beautiful…” To offset the movie set look of Bonnie and Clyde and ground Wanda in harsh realism, Loden had the film shot with a cinéma vérité feel on 16mm in myriad grim locations (the cinematography is by Nicholas Proferes, who would go on to shoot documentaries for vérité pioneers D.A. Pennebaker and Chris Hegedus). Ultimately, what stands out most about Loden’s film is that Wanda was never an equal partner to anyone—she couldn’t be someone’s Bonnie. Messy, imperfect female protagonists have become more common lately, but Loden led the way for a new generation of women who made art out of systematic silence and repression and their internalization of that pain. Though Wanda is a much quieter movie than Bonnie and Clyde, featuring a frustratingly tight-lipped anti-heroine, it is somehow more shocking to see Wanda, dejected, agreeing to abandon her own children, than it is to see Bonnie robbing people at gunpoint. Kristen Yoonsoo Kim is a South Korea-born, New York-based film critic whose work has appeared in The Village Voice, GQ, Vice, Pitchfork, and elsewhere. gas station to fill up car with gas !